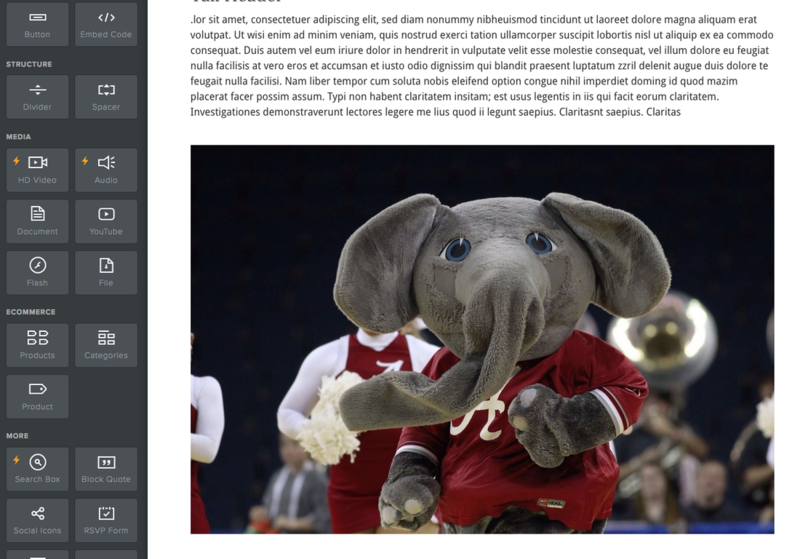 Adding pictures to your site works in much the same way as adding text: by dragging an image element to a page. This opens up a dialog box presenting several ways to add a photo. 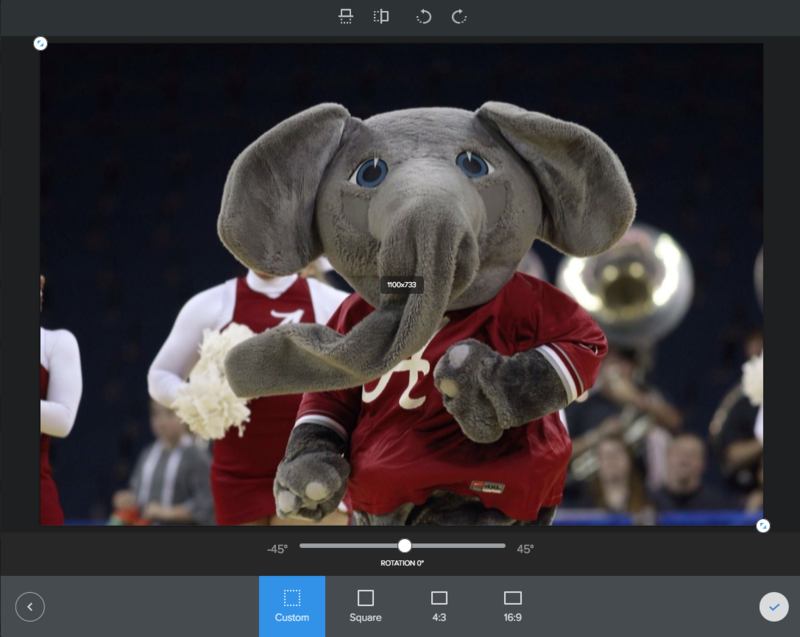 The two key options are to either upload (or drag) an image from your own computer or search through Weebly's photo database (photos for a fee) or Flickr's photo database (creative commons). 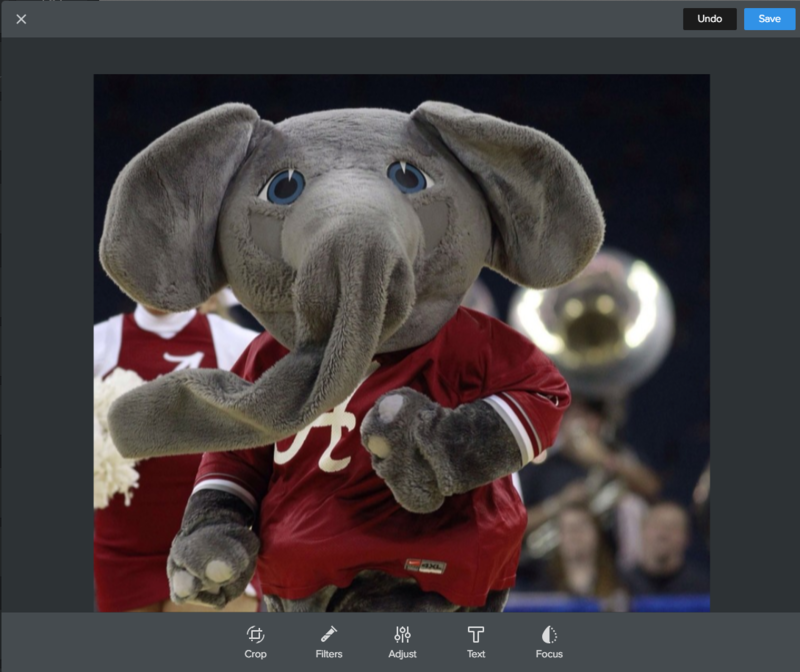 You can adjust the size of the image by clicking and dragging the little box that appears in the lower right corner of the image (you'll need to hover over the picture to see it). 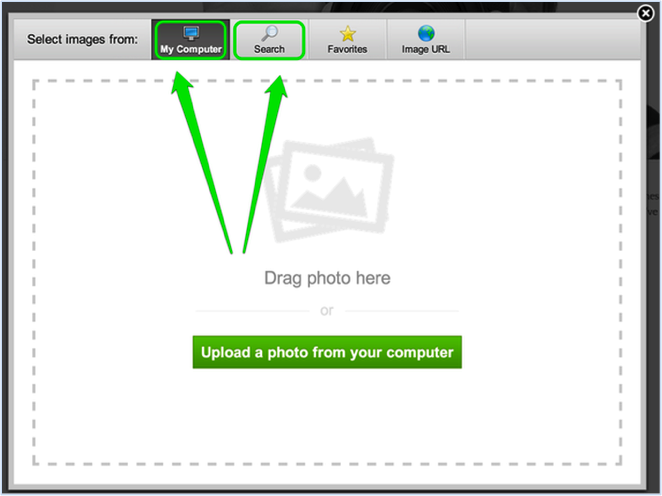 Clicking on the photo opens up the settings dialog box that you can use to make further changes. 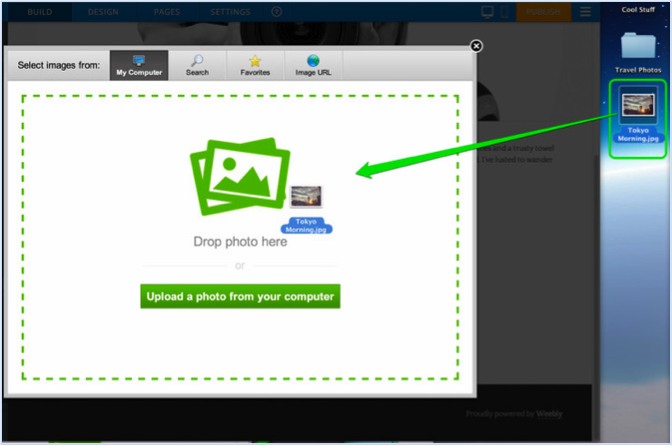 Lightbox: If turned on, when a visitor clicks on the image, it will display in the original size that was uploaded. 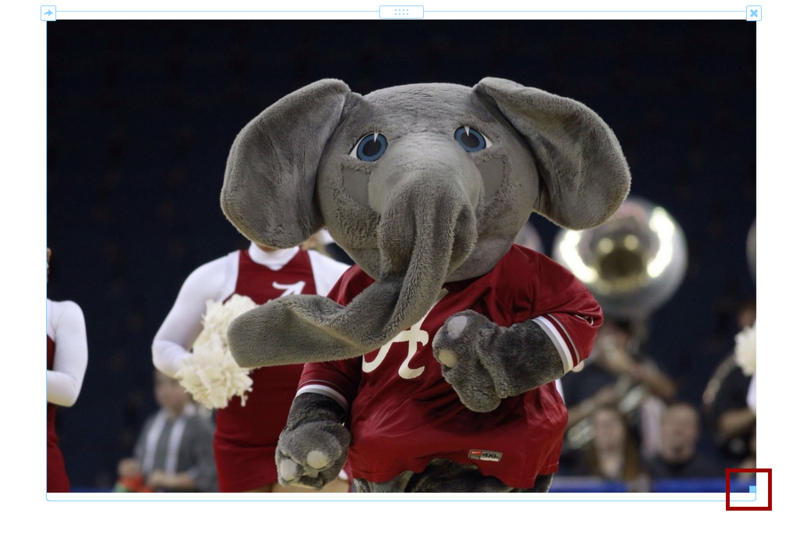 Caption: Lets you add a basic text caption under the picture. 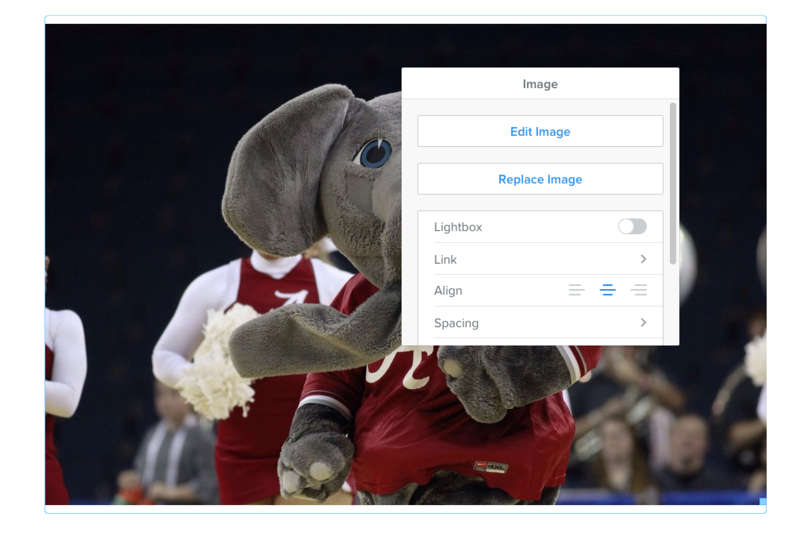 Advanced: Allows you to adjust (or turn on / off) the border around the picture and most importantly, enter Alt text (alternative text is required per ADA guidelines). 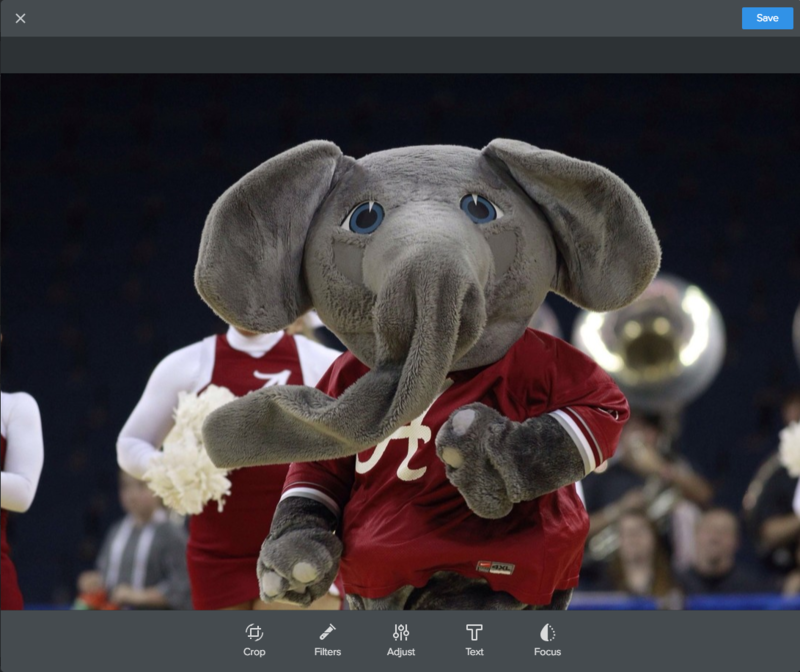 And the "Edit Image" button opens up a simple image editor. 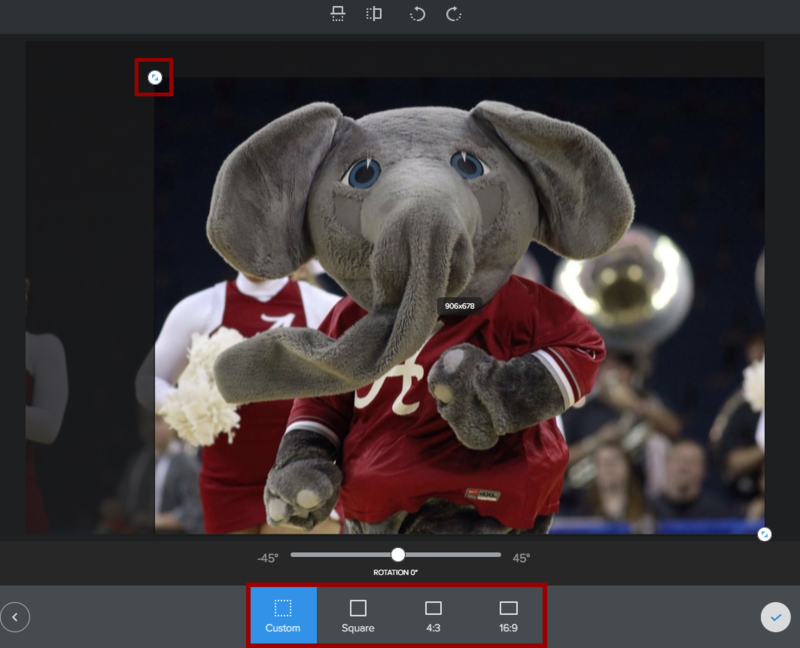 This editor provides some basic options for adding filters, adjusting basic settings and focus, adding text, and cropping. The Crop option places a box over the top of the picture. You can click on the bubble in the top-left corner to adjust the box manually, or pick from a set of predefined aspect ratios.